A FICKLE BUNCH, SMALL BUILDERS. NOT MUCH BRAND LOYALTY. USUALLY, IT’S WHATEVER’S FIRST ON THE AISLE AT THE MERCHANTS, OR WHATEVER’S ON OFFER AT THE TIME. That’s as true for insulation as anything else. And yet Knauf Insulation knew that if they got an installer to try their Omnifit glasswool insulation, nine times out of ten they’d stick with it. That’s because it’s made with ECOSE, a formaldehyde free binder that makes it easier to handle with less dust and less scratching. So by way of an extra incentive to switch, they implemented a loyalty scheme and asked DGR to brand it, launch it and support it on an ongoing basis. 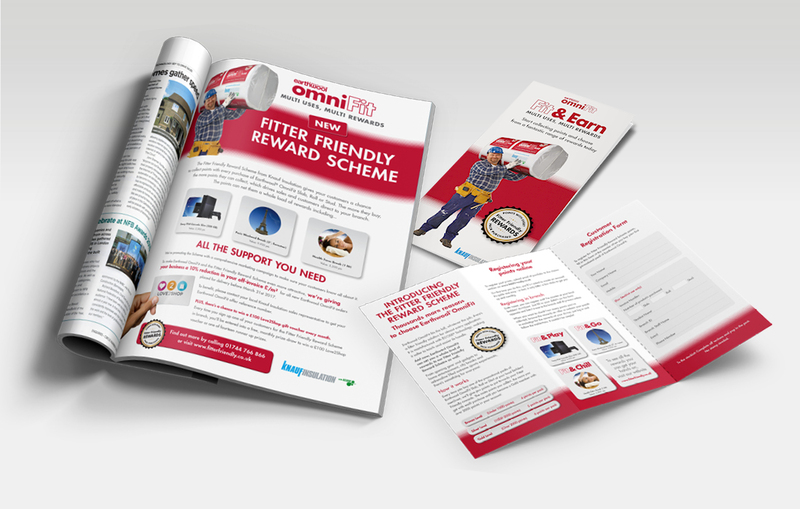 We created ‘Fit & Earn’, the fitter friendly loyalty programme. 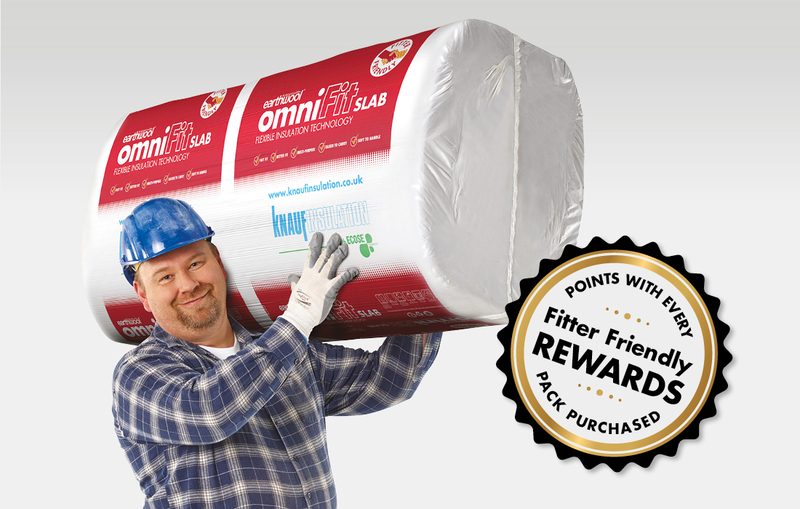 A points based scheme with a simple promise: The more Omnifit insulation you buy, the more points you earn. And the more points you earn, the bigger your choice from a wide range of rewards including holidays and experiences, gadgets, games and home entertainment. As well as being a fickle bunch (see above), small contractors are notoriously difficult to reach. But long experience has told us that in the absence of reliable business lists, the best place to get to them is where they make their purchase decision – at the merchants. 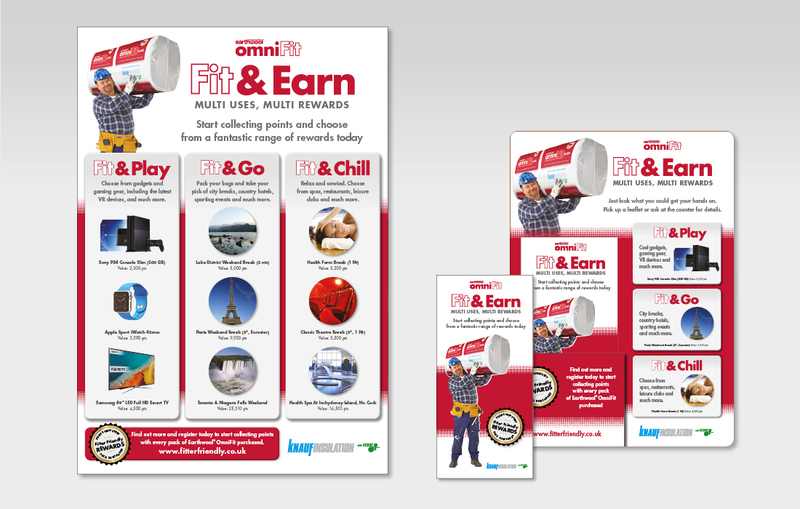 To do that, we created a suite of stand out POS material that included in-store posters, leaflets, countertop leaflet dispensers and on pack activity. 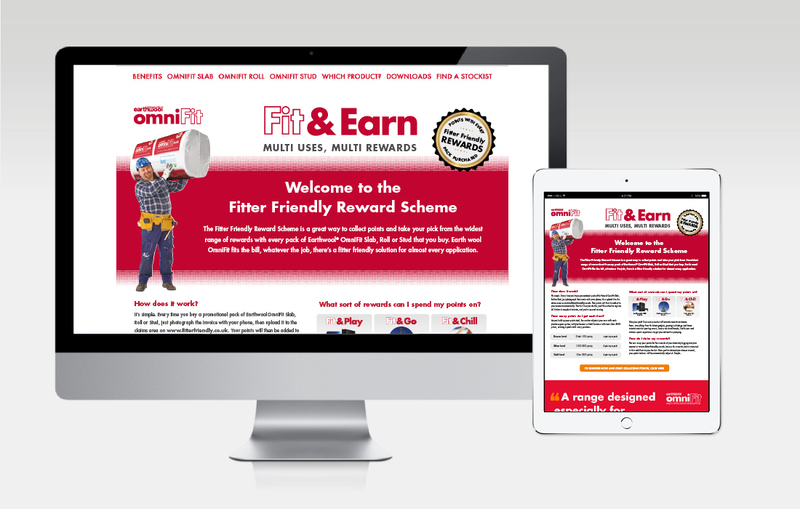 Then came website design, email marketing and digital display advertising – a combination of PPC and remarketing banners, the latter targeting those who’d already visited the ‘Fit & Earn’ site but for whatever reason hadn’t signed up. Full page ads, one a month for twelve months in Professional Builder, helped keep ‘Fit & Earn’ front of mind. 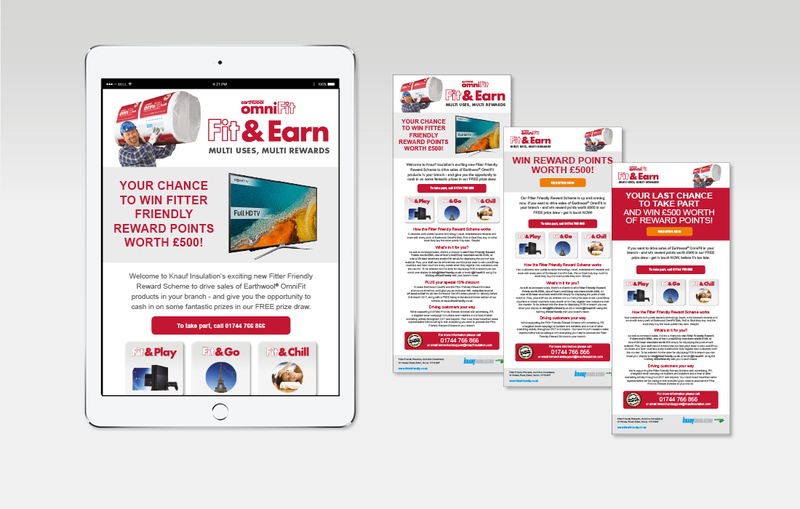 While for the merchants themselves, whose buy-in was critical to the success of the whole scheme, we created targeted communications at Head Office Buyer and Depot Manager level, incentivising both with generous rewards to encourage them to stock up. 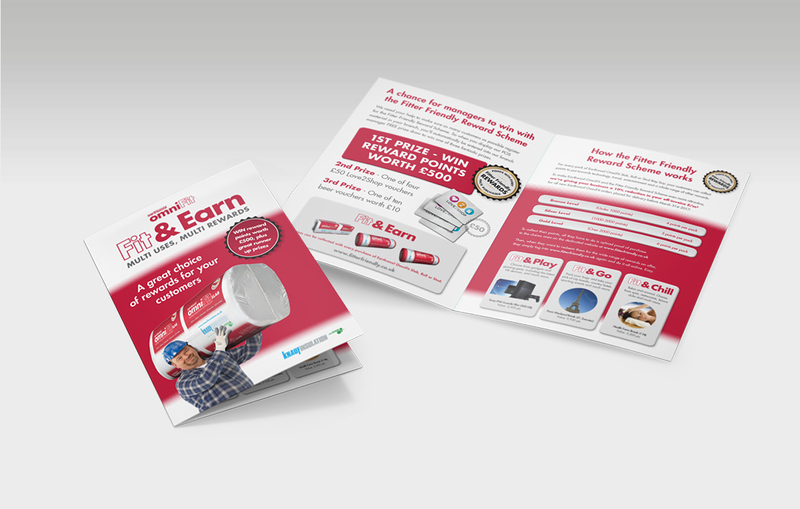 In short, a fully integrated promotional package connecting with customers at every point in their journey, from consideration to final purchase. Fit for purpose, you might say, in every possible way.